FREE 3D Websites that can Franchise for More Traffic! This is part 2 – Settings. Tell your 3D Store to use iframes. Part 1 sets the permissions required on your traditional store to allow the site to be placed in an iframe on your 3D Store Website. By default, when you click on a product Read More, Add to Cart, or View Cart it will open in a new Browser Tab (Separate Web Page). These instructions will set the links to open your WordPress web pages to be opened in an iframe (In a box on the 3d Browsing Web Page). 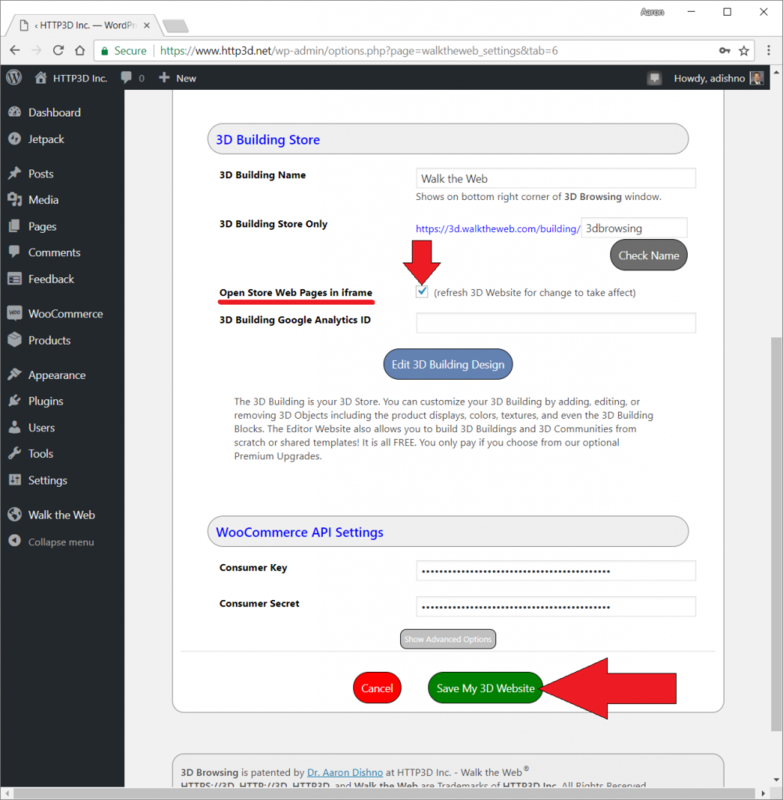 There are 2 ways to set this setting: In your Traditional Website Walk the Web® Plugin or on the Walk the Web® HTTP3D Editor (Admin website). After you have created your first 3D Store, the My 3D Sites Tab will show and list your sites with some basic settings. 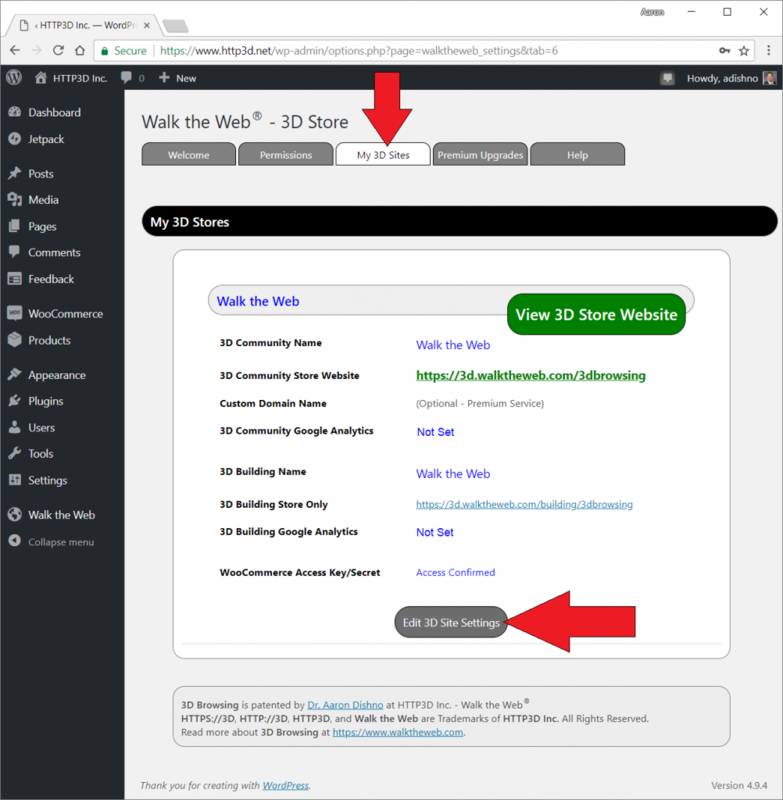 Scroll down to the 3D Building Store section and check the checkbox for Open Store Web Pages in iframe. Then Save My 3D Website. After this is complete, you will need to reload your 3D Store by refreshing your browser (if you already had it open). That is all it takes! Happy 3D Browsing with Walk the Web®!